Becoming injured could mean that you are unable to work. When an injury or disability causes your families finances to become strained, you may need help. Each year thousands of families are pushed to the brink of bankruptcy after medical costs wipe out an entire family's savings. 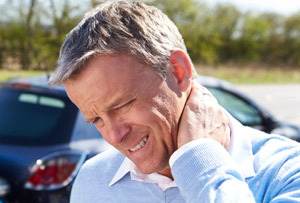 Personal injuries are not rare. Each year nearly 30 million Americans are rushed to the emergency room after an injury. 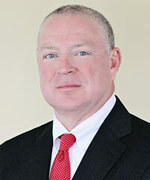 Here at Harbin & Burnett, we have experience in dealing with cases involving serious personal injuries and death. Every case is different, but experience is what counts. Our experienced upstate South Carolina personal injury attorneys can explain the legal process to you and help you navigate the complexities of our justice system. If you or someone you care about has been injured by the carelessness or negligence of another, you may be entitled to compensation for your medical costs, lost wages, outpatient treatments, chiropractic work, depression, and pain and suffering. To learn more about your rights, simply fill out the Free Case Evaluation form located to the right and we will contact you. Its 100% free and strictly confidential. Data from the Centers for Disease Control (CDC) states that there were 136,053 unintentional injury deaths in 2014. Of those deaths, 31,959 were the results of unintentional falls and 42,032 were from unintentional poisoning. There is an almost endless spectrum of possible accident causes. Each accident is different, and the severity of injuries will depend on any number of factors. However, there are some accidents that cause a majority of the injuries sustained in this country. In 2012, approximately 20% of the U.S. population visited the emergency room at some point during the year, according to the CDC. There are any number of circumstances that can lead to a personal injury case, from escalator accidents to asbestos exposure, and those whose negligence is responsible for these unfortunate injures need to be held accountable. If you experience any of the injuries listed above, please seek immediate medical attention. The care, treatment, and advice that doctors provide are your best chance of experiencing a full or partial recovery, and the documents they create can be essential should your case go to trial. A personal injury can occur in the blink of an eye and leave devastating life-long consequences for victims and their families. Life is difficult and complicated enough without the added baggage of pain, depression, disfigurement, permanent disabilities, lost income, medical expenses, and all of the other potential hardships that can burden an individual and their loved ones when an accident occurs. Our team of upstate South Carolina personal injury lawyers at Harbin & Burnett is ready to fight for those victims whose lives have been forever altered because of the negligence of another person or entity. To learn more, please give us a call at 1(888)821-0247 (nationwide) or 1(800)634-5328 (in South Carolina). A member of our friendly, professional intake staff will ask a few questions about the details of your claim and then get you quickly connected to one of our lawyers. If you prefer to contact us online, simply fill out the form at the top of this page and we will contact you. Its completely free and strictly confidential.